Very tasty meals severed there. Like atmosphere. Small place, so get there Early. Does have nice dinning on out side For good weather days. Will be returning. Had a nice lunch outside on the patio. Great service and good food! Had previously been there for Sunday morning brunch and bloody Mary's. Nice little place! Great place. Good service & food. Great place to enjoy a draft brew, great appetizer of bbq Korean beef nachos, and Alpine burger. Service, quality and price all aces. Sit outside on a nice day if possible. Food is tasty, however service is sometimes slow. Try the Reuben! Cool little place to drink in downtown Pinehurst. Will be back!!! Great selection of food and you can't miss with the burgers. I'm not a beer drinker, but I know they have many selections my beer drinking friends enjoy. I am happy with my wine. Eat inside or out and enjoy the friendly ambiance! Very friendly pub atmosphere.great food. I ordered take out and received in a timely manner. Staff were friendly, food was good when I got home to eat it. Great food. Nice setting. Good service. Had the fish and chips may have been an off night for the chef. The service was amazing. Nice atmosphere. I would give it a second chance. I've had fish and chips all over the United States the tartar sauce and the batter make the difference. Wow!!!! The renovations are exceptional! Truly a public house!!!! Very casual. Good food, price reflects location. The food and drinks were Awesome!! Great service! Hands down the best hamburger and french fries that I have ever eaten in the U.S. Try this restaurant you won't regret it! Super great little pub serving up great food and local beers. It's always a good experiance. The wait staff work very hard to make it a great time. 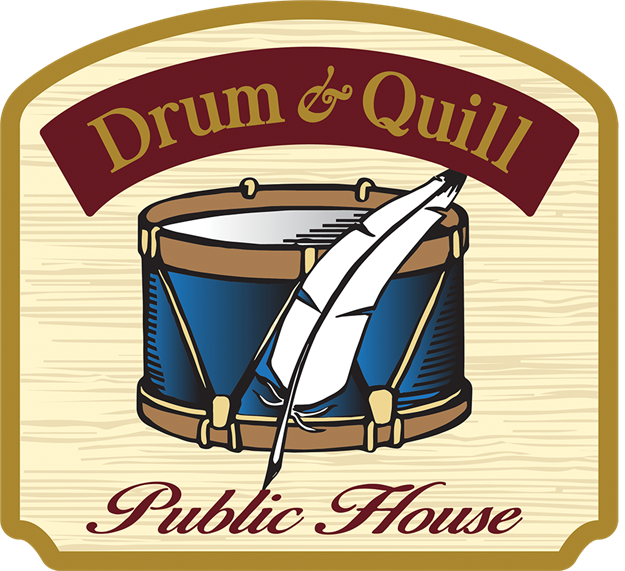 Had great food and great drinks at D & Q this past weekend. It’s newly renovated and looks awesome. Had great food and great drinks at D & Q this past weekend. It’s newly renovated and looks awesome. Friendly bartenders! Best in the village! The food and service was very good, busy on a Saturday night. Good food, good atmosphere. Good for visiting friends. Good service. Great neighborhood place to stop by for a cold beer! We went for a date night with my wife and the atmosphere was great awesome music and the food was very good I highly recommend the pimento burger super good, also the fried pickles were great. Very nice lay back establishment. Next time we are staying for the live music. Pretty cool bar. Good food. Friendly atmosphere! Come on Wednesday nights for half off appetizers and half off a bottle of house wine. We love their pork nachos and pimento cheese with wontons. Had a Cali burger that was excellent as well. Fun times. Great food and drinks. Friendly waitresses. Sunday Bloody Mary at the good 'ol Drum and Quill! Ahhhhhh! Life is beautiful.If you're in the Village of Pinehurst, this is a 'must stop' pup. Go to this authentic pub if you crave a righteous Turkey Burger smothered in NC pimento and surrounded by a velvety potato bun. Pair it with a local craft brew such as Southern Pines Brewery Man of Law IPA. Great food. Great decor. Great ambiance. Great service. Great price. I would love to tell you more but I don’t want this place to get over crowded with tourists. The fish and chips here are out of this world. Nice local bar. Cool atmosphere with live music. Tap selection was a little weak but not bad for a small town bar. Really great environment, especially for a rainy Sunday night. I'd definitely go back next time I'm in Pinehurst. Didn't try any of the food unfortunately. Maybe next time. Did lunch on Christmas break. Had the beef and pork on one order and shrimp and mahi-mahi tacos on other. All 4 were great. Pub atmosphere. Great food. It was amazing food, and I loved all the Christmas decorations. They were voted 2nd in decorations ! Also loved the general decor and golf memorabilia. May be small but food was delicious n we got a huge amount for our money. Not a very big place, but the food was excellent. Decorated very nice for Christmas. Not a big fan of onions in chicken salad, but to each their own. Found this spot while working in Pinehurst. What a great find! The food & drinks were just right. I frequent this spot when I'm in town. I recommend trying there jalapeno burger it is fantastic! This place is always a good time, it can get busy but not crazy busy. They have live music usually on the weekends . Great food, entertainment and service. No complaints!